Could you race 10 marathons, eight ultra marathons and a few Ironmans in one year? As usual, the top ten men and women to cross the finish line at the 2016 Comrades marathon were tested for doping. A few weeks later, the South African Institute For Drug-Free Sport (SAIDS) released a statement to the press indicating that all 20 finishers had tested negative. But there was no mention of a 21st: Ashraf Orrie. The seasoned ultra-marathoner had just crossed the finish line, in 8:57, when he was approached by doping officials. While that’s an impressive time, it hardly warrants a drug test. But it wasn’t Orrie’s time that had raised concerns; it was the amount of running this 49-year-old does without being injured. Over the course of a single year, Orrie’s training mileage is 3 500km, and his racing mileage is 1 700km. Orrie started running seven years ago, and within three months he’d already finished the Two Oceans 56km; within seven months, the Comrades marathon. The distance runner’s bucket-list for 2017 alone was staggering: 10 marathons and eight ultra-marathons, including the PUFfeR, AfricanX Trailrun, SOX Trail Run, and the Ironman – in East London, Port Elizabeth and Portugal. 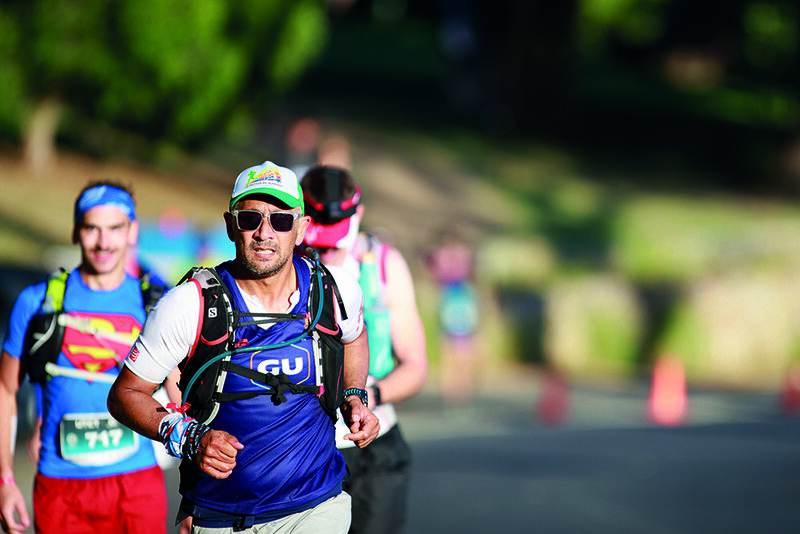 At the time of writing, he had just raced the Ultra-Trail Cape Town (UTCT) 100km. Orrie is one of a family of runners. He and his wife Roldah (52), daughter Nabeelah (22) and sons Zunaid (29) and Riaz (18) amass somewhere in the region of 300 race medals a year. He responded to a Runner’s World charity drive by donating a whopping 1 500 of them to the Red Cross Children’s Hospital, to be awarded to terminally-ill patients as bravery medals. Orrie sees his regular racing as more of a passion than an addiction. He will turn 50 next year, but he enjoys the fact he doesn’t feel or look a day over 35. Though his family are all runners, he admits they all do their own thing. An endurance runner like himself, he says, spends eight hours on the mountain because they want to be alone, and reflect. His son Zunaid, on the other hand, is a young gun whose goal is to find his feet in the half marathon. Typically, Orrie runs at 5am. During the morning he visits a site on the Cape Peninsula where houses are being built by the construction company he works for, but at lunch time Orrie likes to throw his running shoes on again and return to the mountain. Orrie isn’t immune to injury; and to him, being off with plantar fasciitis after the Otter was torture. 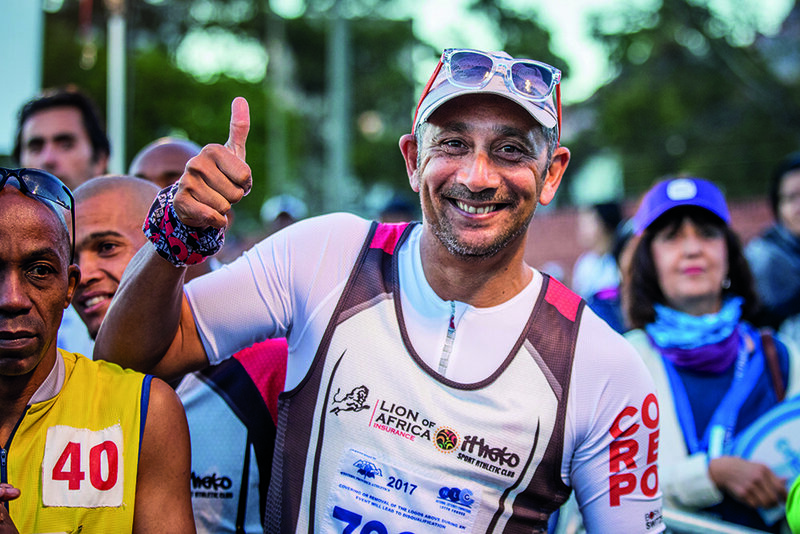 His recognisable presence at races and on social media means Orrie has become one of the champions of the rise of running culture in South Africa – particularly among the coloured community. Orrie is considered a font of that running wisdom. On Facebook he receives messages from runners all over the country, asking for advice ranging from what to eat on race day to how to avoid injury. He’s not a trained dietician or physiotherapist; but he’s covered enough mileage to know what works and what doesn’t. Orrie is selfless (which is a characteristic at the heart of the running community). He noticed that while conventional running clubs offer a social network, they have nothing in place to take their members beyond training programmes for beginners. So he started a running group called Strong2run, and began designing tailor-made training programmes for its members. The group is now home to close on 200 people: doctors, lawyers, engineers and architects. One of Strong2run’s success stories is Dr Shabeer Ebrahim, who started running two years ago. At the time he could run a half marathon in 2:20, but has since got his time down to 1:42. 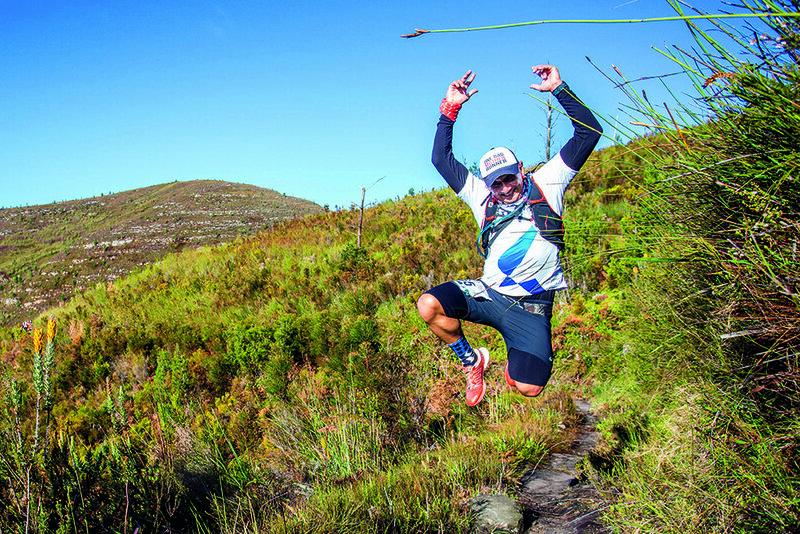 Orrie thinks of himself as just a 49-year-old oke who ran 100km last Saturday. Some people think his obsession with running ultra distances so frequently is downright nuts; but there are others he inspires. Like Orrie, they believe their bodies might be capable of doing more than most people think.